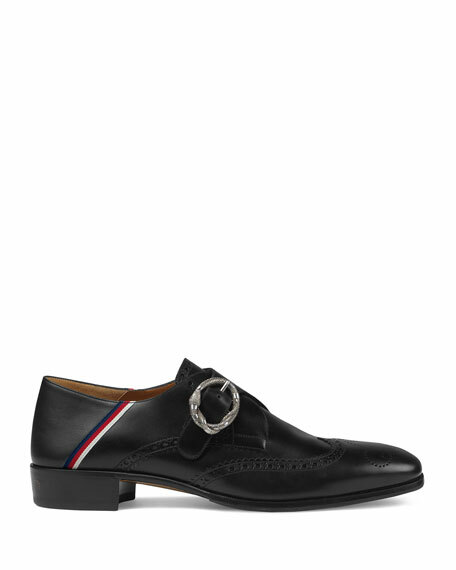 Gucci leather loafer with brogue detailing. 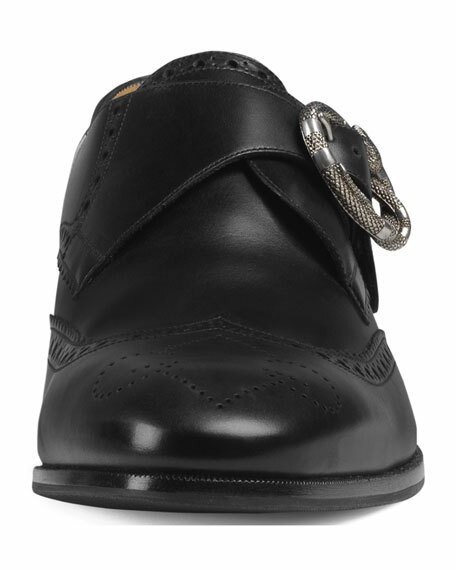 Convertible design allows the heel to be worn up or folded down. 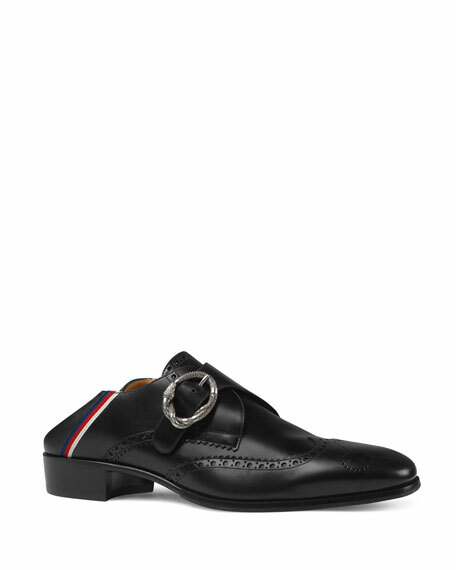 Single monk strap with king snake buckle. 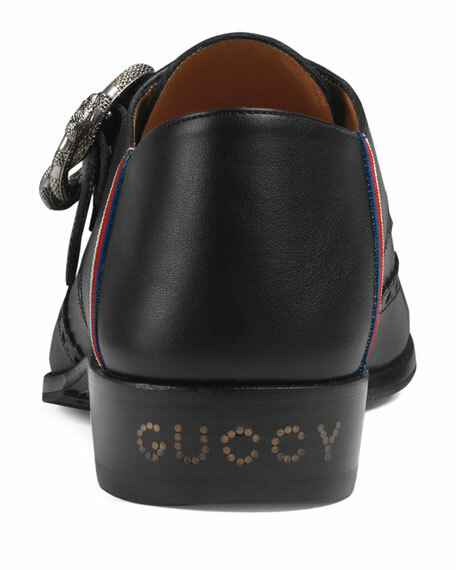 "Plata" is made in Italy.